Are you a friend of the Earth? 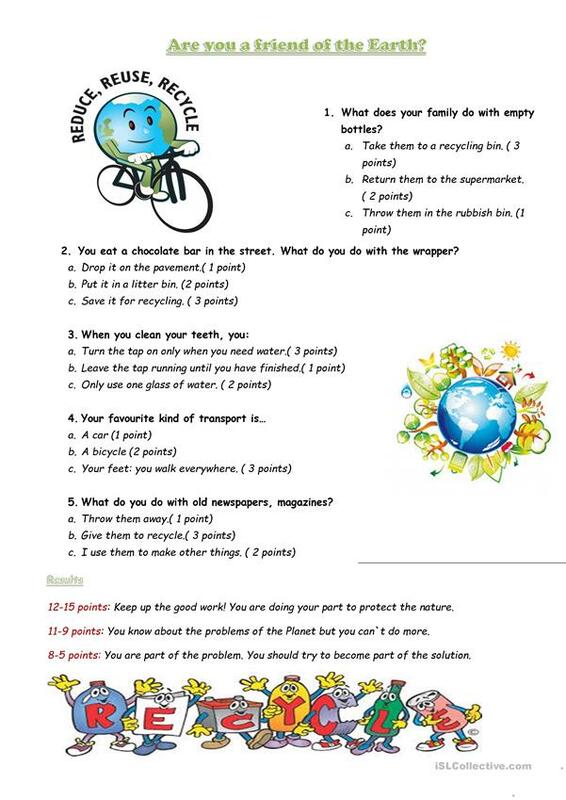 Here is a test that can be used while studying the topic "Environmental Protection"
The present downloadable printable is intended for high school students, elementary school students and adults at Elementary (A1), Pre-intermediate (A2) and Intermediate (B1) level. It was designed for working on your groups' Speaking and Reading skills.